On November 22nd, Argentina underwent the second round of the 2015 presidential election. The stand-off between the candidate of the Peronist party, then-governor of Argentina’s largest province, Daniel Scioli, and the right-wing mayor of the City of Buenos Aires, Mauricio Macri, was decided in favour of Macri by a margin of just over 2 percent of the vote (51-49%). The victory of Macri represents a significant change both in Argentina and in South America. The wave of victories of left and center-left governments seems to be coming to an end in the region, the continental right-wing (with the support of the usual external forces) are getting the upper-hand. Until recently, the right in Argentina usually moved behind the scenes, influencing government policy but not directly running the government. This has changed as Macri and his party, ‘Pro’, openly represent the business elite. This is symbolised by cabinet appointments and the distribution of political office to major corporations. Macri is himself a businessman, the son and former manager of one of Argentina’s largest construction companies. He has named the former CEO of Shell the minister of energy; the former head of a major telecommunications company the minister of foreign affairs; the former chief economist of JP Morgan the minister of finance; a representative of the largest agribusiness grouping the minister of agriculture; the head of one of the largest private pension funds the minister of production; and the CEO of General Motors in Argentina the head of the state airlines. This is a clear indication of the kind of government that the Macri administration is putting in place. President Macri and his cabinet have also been clear on three economic policies: a ‘return to the markets’; the devaluation of the local currency; and the promotion of free trade agreements. The devaluation of the currency has been the most publicised policy of the incoming government (indeed, both presidential candidates in the second round stated they would devaluate the peso as soon as they took office). It took the new government less than a week to announce a devaluation of 40%, which has had a major impact on the already-high inflation rate. A ‘return’ to the financial markets implies two main issues: the resolution of Argentina’s pending debt with the funds that rejected negotiations with the country after the default of 2001; and the hope that financial flows into the country will relieve the lack of foreign reserves in the Central Bank. Lastly, the return to free trade agreements involves a rejection of the policy of the Kirchner administration – supported by unions and social movements – of rejecting these sorts of economic agreements. During his first visit to Brazil, Macri indicated that Mercosur should sign a free trade agreement with the European Union. Moreover, he has been adamant about the need for Argentina to join the Pacific Alliance, a free trade-oriented bloc comprising Chile, Colombia, Peru, Mexico and Costa Rica – all of these countries have signed free trade agreements with the United States. Over the last decade, workers witnessed an improvement in their overall conditions: rising real wages, falling unemployment and expanding union membership. This improvement took place in the first years of the Kirchner administration, following the profound socioeconomic crisis in 2001, but started to show clear signs of exhaustion in 2012 (Observatorio del Derecho Social de la Central de Trabajadores de la Argentina, 2014). Given the country’s structural dependency on the importation of value-added goods, its vulnerable industrial development, and the permanence of informality (around 33% of the workforce) the incoming policies of the Macri government are worrying. The new minister of labour Jorge Triaca has stated that wages should only increase according to productivity, not a positive sign of the times to come. It must also be noted that his ministry includes the former head of human resources of Argentina’s largest multinational, Techint, who has historically opposed the system of labour relations that make the country’s labour force ‘expensive’ (Buenos Aires Herald.com: 2012). Macri has a policy of both ‘change’ and ‘dialogue’, and has expressed support for a Social Pact with unions and businesses. The union movement is fractured in five different confederations, with different political alignments according to their assessment of the past administration. Although Macri has gathered some support from one of the CGTs, the possibilities of reaching a Social Pact that can contain social conflict is low, considering the impacts of the devaluation and the lack of pro-labour policies so far. Moreover, unions have warned that they will reject a Social Pact if its main objective is to freeze wages in the context of high inflation. In other words, one of the most important issues for labour in the upcoming years (not to say months) will be a shift back to resistance, given the neoliberal adjustment program that the new government is already carrying out. The first step in such resistance will take place soon: the collective bargaining round starts in January every year, lasting until May. Furthermore, in recent years the unions have become stronger, and labour conflicts have increased significantly. The annual average for strikes for 2011-2014 was 36% higher than the annual average for 2006-2010 and, according to reports from the ministry of labour, the highest number of strikes over the last decade took place in 2014. This data is consistent with reports by the Argentinean Workers Union (CTA), which show that unions are pushing, not only for better wages but also for improved working conditions and against dismissals. In this context, it is possible to predict that, if the new government insists on pushing policies that negatively affect labour, unions will respond by increasing labour conflicts. This will be a difficult scenario not only for labour, but also for the new government. The 2015 election saw Argentina undergo significant changes, shifting drastically from a state-led development model to a market-led one that places export-oriented agribusiness and major capitalists at the center of the economy. The shift in Argentina is in line with that taking place in the rest of the region, as the recent political standoff in Brazil and the December elections in Venezuela show. For labour – and social movements – the time has come to develop significant resistance to neoliberal policies, but the unification of demands and strategies will be the biggest challenge ahead. At the time of writing, the devaluation of the currency was 40%, but there is speculation it could increase soon. In late 2001, during Argentina’s crisis, then-President Adolfo Rodriguez-Saa declared that Argentina would default on its foreign debt commitments, except those to multilateral organisations. In 2005 and 2010, the left-wing governments of Nestor Kirchner and Cristina Fernandez de Kirchner renegotiated the foreign debt, ending the default by agreeing to pay 25 cents for every dollar that the state owed. This represented a major cut in Argentina’s ratio of debt to GDP. But 7% of the debt holders, mostly hedge funds, rejected the negotiations. They sought, instead, a judicial ruling in New York, the accepted jurisdiction for such matters. The ruling came in 2013, and again placed Argentina in a vulnerable situation regarding international financial markets. Between 2011 and 2015, the Argentinean Central Bank lost almost 50% of its foreign reserves, and the government artificially froze the value of the local currency in an attempt to control inflation. The policy failed and the economic scenario in the last four years could be considered as stagflation – but with low unemployment. See several reports from Argentinean Workers Union’s Social Rights Observatory: www.obderechosocial.org.ar. For reports from the Ministry of Labour see the Boletín de Estadísticas Laborales: www.trabajo.gob.ar. 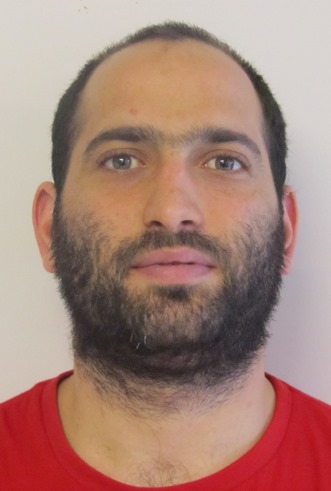 Bruno Dobrusin is a doctoral scholar based at the Centre for Labour Research (CEIL-CONICET) in Buenos Aires, Argentina. He is also an advisor at the International Relations department of the Argentine Workers' Central (CTA). Luis Campos is the coordinator of the Observatory for Social Rights (ODS-CTA) at the Argentine Workers' Central. He has a PhD in social sciences from the Latin American Faculty of Social Sciences (FLACSO). Buenos Aires Herald.com (2012) CFK renews fierce criticism against Techint. September 8, 2012.